Once you decide to file for divorce there are usually financial concerns which arise immediately and may require a temporary court order to provide either spouse with resources to pay for alternate living expenses which may include rent, utilities, auto, telephone and other life sustaining necessaries for you and any children which are under your care. A request for temporary spousal support and child support orders should be made immediately to ensure that these resources are available to you pending the ultimate resolution of these matters by order of the court. The parties may agree to these matters without an order of the court and it may be preferable to do so to avoid unnecessary litigation. The final determination of the parties’ rights and obligations through a family law proceeding may take months or years depending upon the level disagreement and the financial complexity of the matters involved. During that time, many couples will need a court order to determine how to handle shared parenting, who will reside in the family home (who will move out) and how much income is needed for the spouse moving to a new location. Other matters may also be determined and ordered on a temporary basis pending trial. It is imperative that you discuss these matters with your attorney prior to or at the time of filing your Petition for Dissolution of Marriage. A request for these temporary orders must be handled immediately in order to provide the parties with a manageable approach to divorce and ensure that an order for temporary support is forthcoming. Accordingly, either party may also request that the other party pay their attorney’s fees on a temporary basis until a final order is made by the court. Both parties should be provided with sufficient resources to hire and retain the services of an attorney. The court grants temporary family law orders when either party makes the request in a timely manner and the requested orders are deemed reasonable and necessary by the court. Usually, these orders last until both parties reach an official settlement or the matters are tried before the court and a final judgment issued. Temporary orders can be ordered by a judge or through an agreement of the parties. The parties should anticipate and attempt to resolve these matters without the need for a hearing. 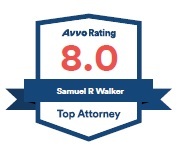 The attorneys at the Law Office of Sam Walker will provide you with sensible and effective legal advice when requesting or defending against a request for temporary orders. Because the process can be so complex and have a lasting effect throughout the duration of the judicial process, it is essential to have the assistance of an experienced divorce attorney to protect your interests and ensure that you are granted all reasonably necessary temporary orders. We know how to handle temporary orders for spousal support, child support, property division and child custody and we can help you through each step of the process. For a free consultation on your real estate and trust concerns in the Los Angeles and Orange County area, contact the law offices of attorney Samuel Walker and put our experience to work for you. Learn more about Family Law representation.